Let’s face it: when it comes to seasons of the year in Montana, spring tends to get overlooked. Summer typically takes center stage, while spring serves as her understudy. She studies really hard and is so well-behaved that sometimes we don’t give her the accolades she deserves. To which I say: spring, I see you. And I think you’re awesome. A gorgeous spring day earlier this week called for a scenic drive. So without further ado, please meet my friend: spring. In an effort to help us all get better acquainted and to take advantage of one of the best times of year to explore Big Sky Country, I’ve put together a list of 20 spring adventures in Montana’s Glacier Country. 1. Bike in Glacier National Park. A little known fact: biking in the Crown of the Continent is one of the most exhilarating things to do in Montana. 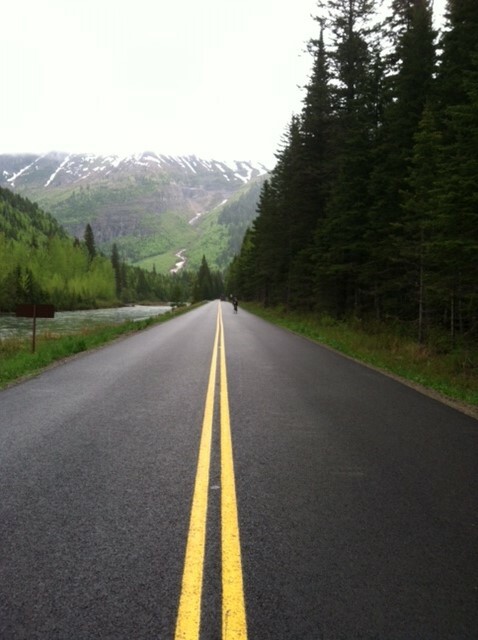 Prior to the Going-to-the-Sun Road opening to vehicular traffic, it’s open for bikers and hikers. Plus with the spring snowmelt, more of the road tends to be open to bikers on both the west and east sides. The Apgar Bike Path is also a fun place to bike, especially if you have small children. Sidenote: with the arrival of spring, wildlife are active in the park. Be sure to carry bear spray when hiking or biking in Glacier National Park. Biking on the Going-to-the-Sun Road. As the largest freshwater lake in the West, it’s probably no surprise that fishing on Flathead Lake is incredible. The lake is home to a variety of fish, including lake trout, whitefish and northern pike. You can go on your own or book a guided fishing trip with a local outfitter. 2. 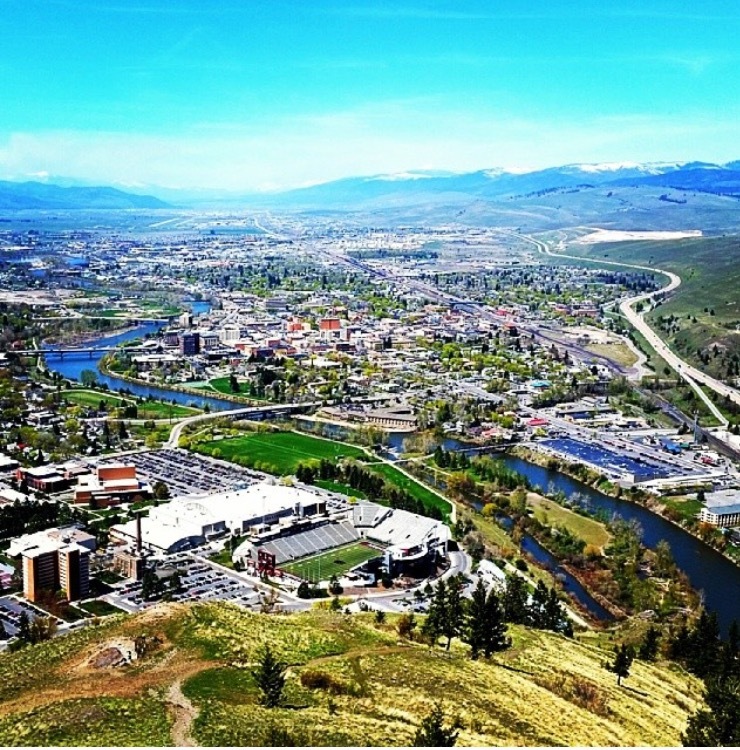 Hike the M in Missoula. One of the most popular hiking trails in Montana, this trail starts at the base of Mount Sentinel and works its way up to the M. A total length of .75 miles, the trail has 11 switchbacks, an elevation gain of 620 feet and an incredible view of the Missoula Valley, the Clark Fork River and the Rattlesnake Wilderness Area. 4. Drive the National Bison Range. Situated at the base of the Mission Mountains, the National Bison Range is one of the most easily accessible and beautiful adventures in Western Montana. In early spring, visitors can travel along the west loop, while Red Sleep Drive (the 19-mile-long one-way drive that winds through the range) opens in early May. Be sure to keep an eye our for baby bison. The view along Mission Creek. 5. Pan for sapphires + visit a candy store. Hands down, one of Montana’s most charming small towns is Philipsburg. Home to cute boutiques, a fun brewery and the world-renowned Sweet Palace, it’s also a great place to pan for sapphires. Make plans to visit Gem Mountain or the Sapphire Gallery to try your luck at landing a few Montana gems. 6. Attend the Annual Kyi-Yo Pow-Wow. Taking place in April at The University of Montana, the Kyi-Yo Pow-Wow brings many of the nation’s American Indians together to dance, sing and share stories, as well as preserve the incredible heritage of our First Nations. 7. Visit Kerr Dam near Polson. Sitting at 204 feet high, Kerr Dam controls the water flow along the Flathead River. 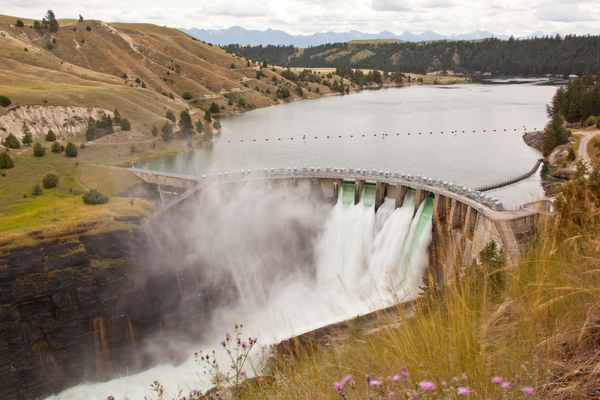 For views of Flathead Lake and the Mission Mountains, follow the long boardwalk down to the dam overlook and watch the powerful water coming through the spillway. 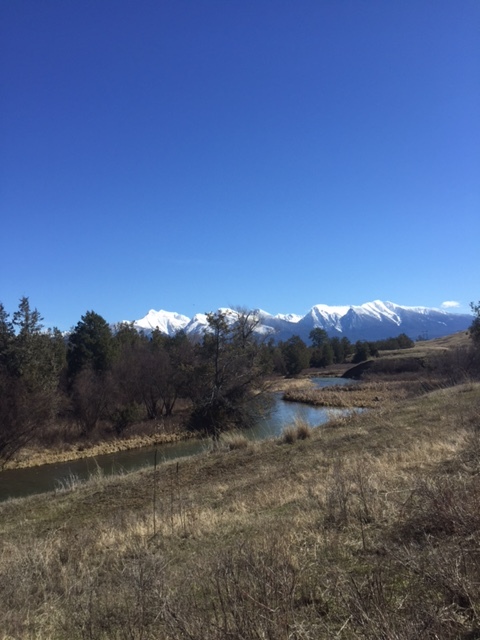 An added bonus: it’s only a 10-minute drive from downtown Polson. The view from the boardwalk at Kerr Dam. 8. First Friday in small town Montana. Many communities in Western Montana have First Friday celebrations where artists display their work at various galleries and shops around the region. Check out First Friday happenings in Missoula, Stevensville and Hamilton. 9. Take a trail ride in West Glacier. 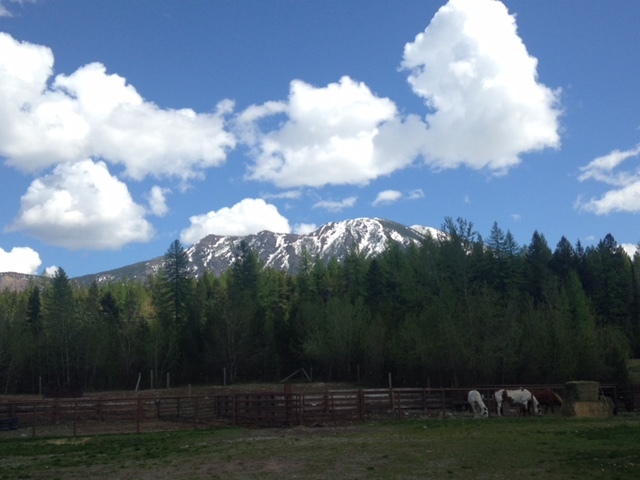 Starting in mid-May, Swan Mountain Outfitters offers trail rides from their West Glacier corral. Located just off Highway 2, the West Glacier corral offers a variety of trail rides. With the warm spring temperatures, many of the golf courses in Western Montana open and welcoming players in April. Recommended courses include Buffalo Hills Golf Club in Kalispell, Canyon River Golf Club in Missoula and The Wilderness Club in Eureka. 11. Tour the St. Mary’s Mission in Stevensville. 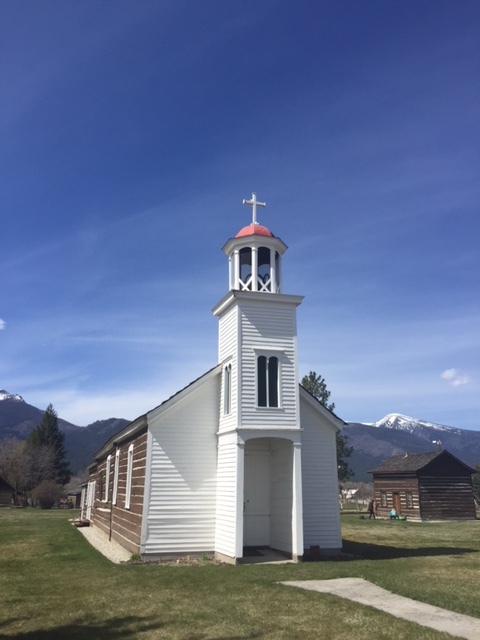 Opening for the season in mid-April, the Historic St. Mary’s Mission in Stevensville is an important place in Montana history. Be sure to take a guided tour of the complex and peruse the incredible American Indian photos inside Chief Victor’s cabin. 12. Stand-up paddleboard (SUP) on the Whitefish River. Bring your own paddleboard or rent one in Whitefish at Paddlefish Sports. 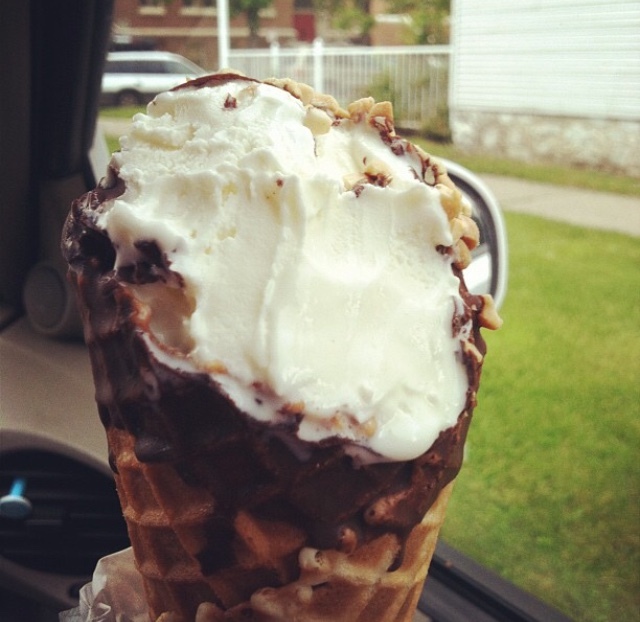 When temperatures rise above freezing, it means ice cream time in Montana. My favorite places for locally made ice cream are Big Dipper Ice Cream in Missoula and Sweet Peaks in Whitefish, Kalispell and Missoula. My favorite treat: a co-co-nuts (coconut ice cream dipped in chocolate and covered in nuts) at Big Dipper. 14. Yell “We Are Sparta” at the Montana Spartan Race. 15. Soak in a natural hot spring. With comfortable temperatures during the day and cooler nights, spring is ideal for soaking in one of Montana’s many natural hot springs. 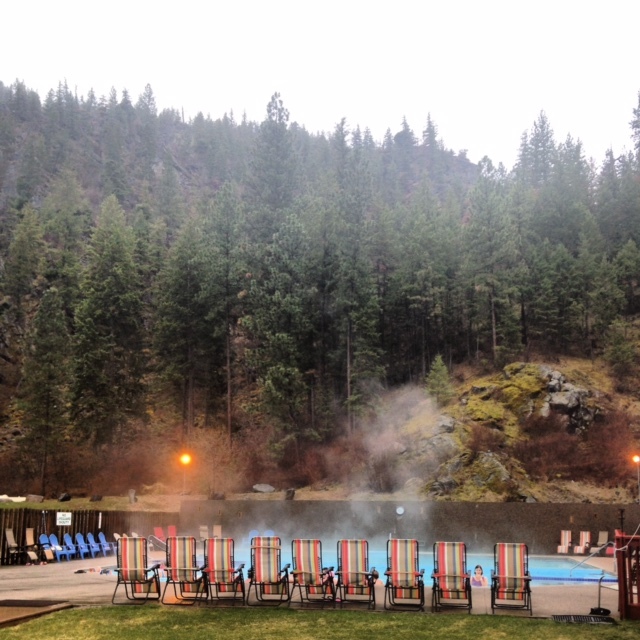 For a weekend visit, try one of the hot springs in Paradise or the aptly named town of Hot Springs. 16. Stand on the swinging bridge over Kootenai Falls. Take the short walk down from Highway 2 and make your way to the swinging bridge. Be sure to take your camera to capture the view of the water tumbling over the falls. 17. Attend Garden City Brewfest. Held in early May in Missoula at Caras Park, Garden City Brewfest introduces attendees to a variety of Montana beer. Between sampling beer and dining on local food, you’ll also be able to watch kayakers and surfers at Brennan’s Wave. 18. Go birding at Lee Metcalf National Wildlife Refuge. 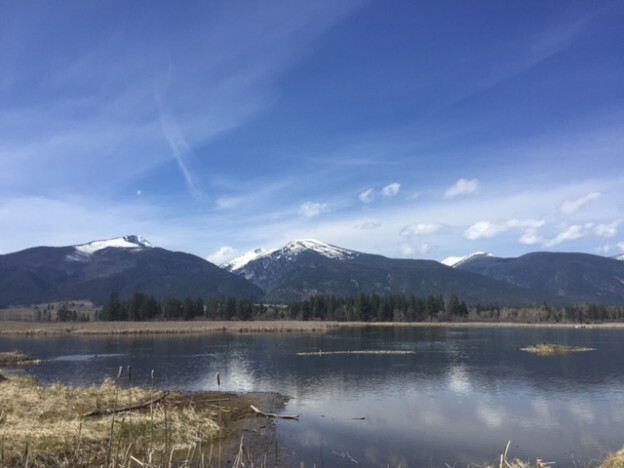 A 30-minute drive south of Missoula and a few minutes from Stevensville, the Lee Metcalf is a 2,800-acre refuge that’s home to a variety of wildlife and birds. The refuge also has accessible trails and offers gorgeous views of the Bitterroot Mountains. A spring day at the Lee Metcalf National Wildlife Refuge. 19. Attend the Bigfork Whitewater Festival. Watch some of the world’s best kayakers navigate the Class IV whitewater along the Wild Mile of the Swan River at the Bigfork Whitewater Festival. Held over Memorial Day, the festival includes whitewater kayaking races, whitewater rafting races and SUP events. 20. Paddle the Clearwater Canoe Trail. 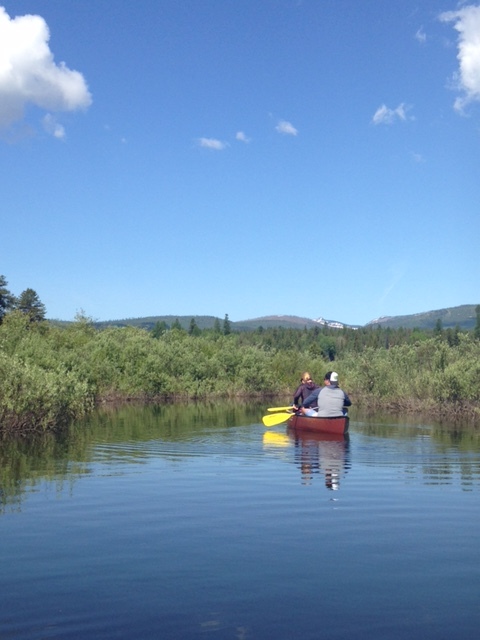 One of my favorite spring activities is to paddle this quiet stretch of the Clearwater River as it winds through a willow marsh before flowing into Seeley Lake. My advice: go in the early morning and watch the sun come up. Paddling the Clearwater Canoe Trail. What’s your favorite thing to do in Montana during the spring? 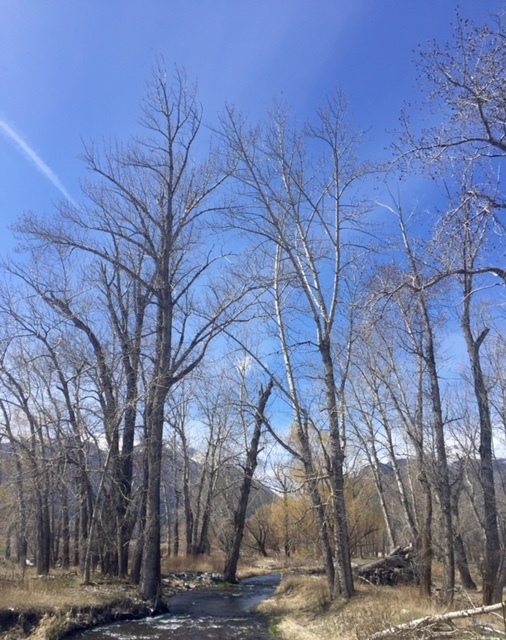 This entry was posted in Spring and tagged Glacier Country, Montana, Spring on April 8, 2015 by tiatroy. Trail. Hope to visit there in the next few years after my significant other retires. Thanks for all the beautiful places to visit. Kathi, you will LOVE the Clearwater Canoe Trail! It’s honestly one of my favorite things to do in Montana…and watching the sunrise from the trail is absolutely stunning. Hope to see you soon!